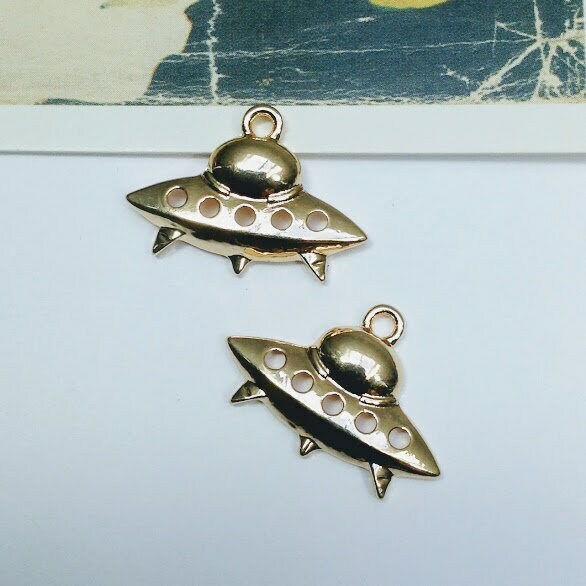 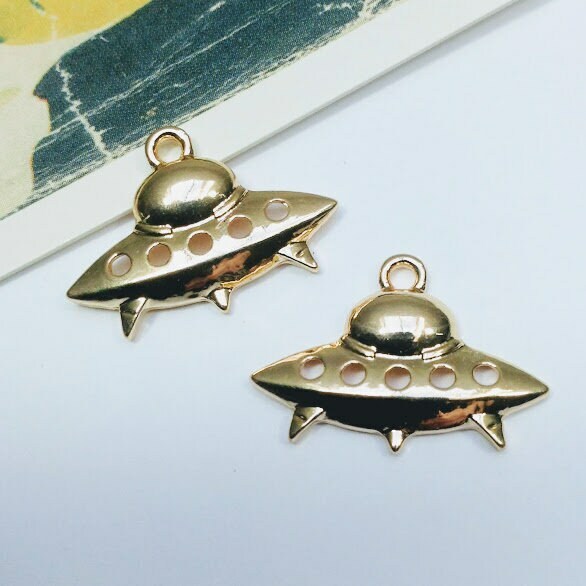 2 gold plated spaceship charms. 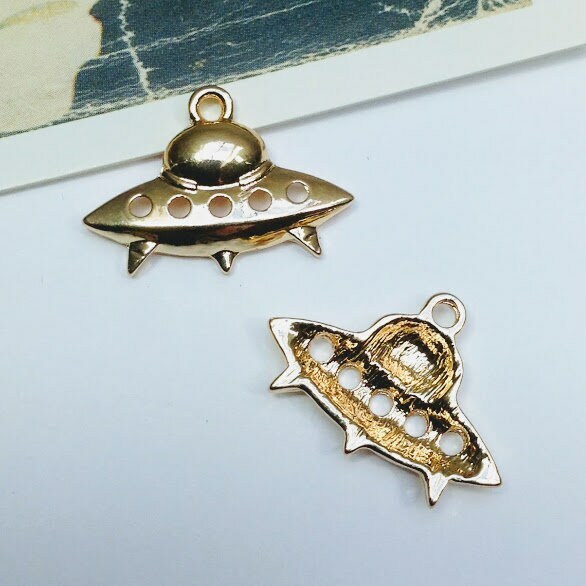 Mix with stars, planets and moons for a space/galaxy themed piece. Detailed front and concave backs.